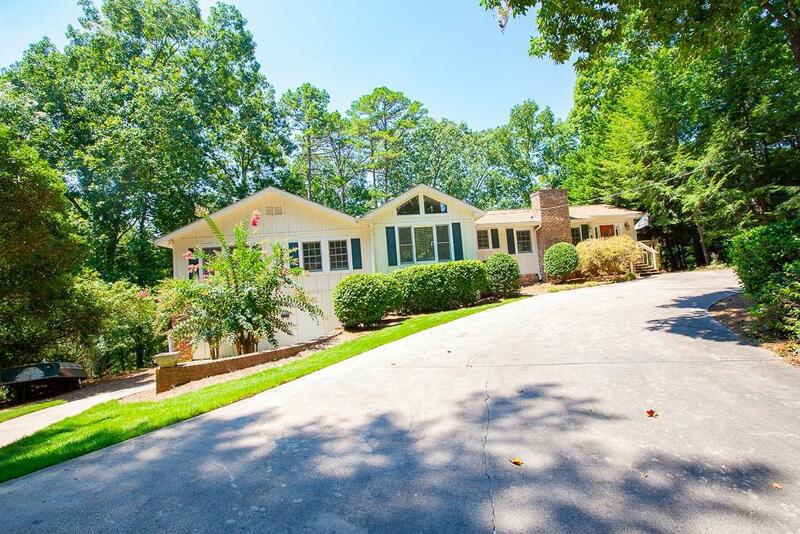 Wonderful Lake front home on deep water with year around views- grass to water. Freshly updated home with new kitchen, brand new deck overlooking the covered dock. Hardwood floors, granite counter tops, vaulted great room with water views, finished terrace level, three car garage. Half acre plus lot with immaculate, professionally manicured grounds. Dock is located at mouth of the big water protected cove to assure year around deep water minutes to retail and Hwy 400. Incredible neighborhood located in bird sanctuary. Rare find ranch plan with three car garage.